We have squads for children in Kindergarten – 8th Grade! No expe rience necessary! All of our athletes are placed by grade level. All our squads cheer at TCYFL football games and com pete in an Illinois Recreational Cheer Association (IRCA) format. TCYFL games are played in Lake County and all IRCA competitions are in Illinois. 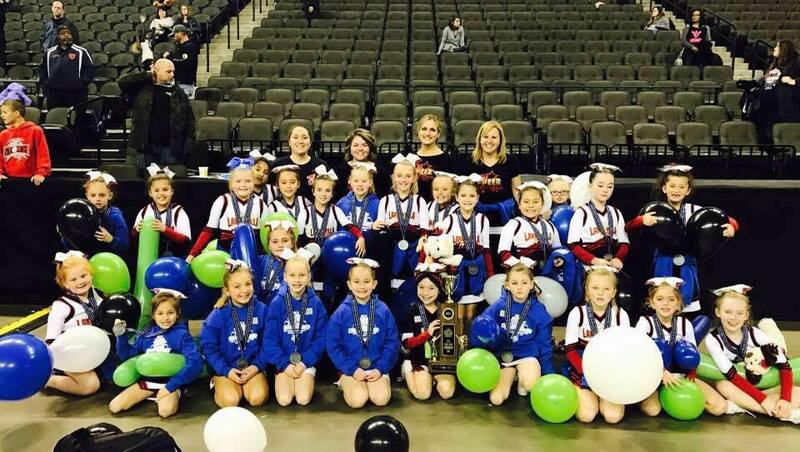 Our Kindergarten – 8th Grade Squads will compete in 4 IRCA Cheer Competitions. 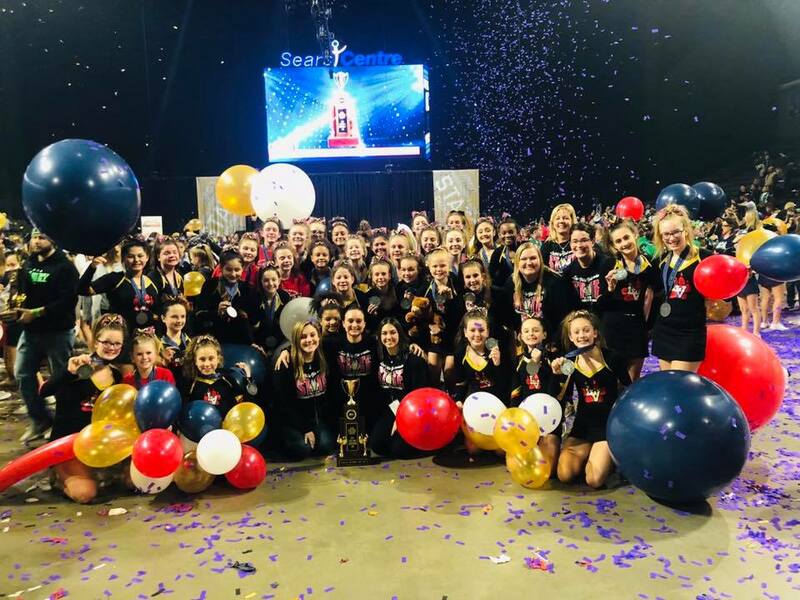 Each team that receives a qualifying bid at a competition will participate in the IRCA State Cheer Competition that takes place the first weekend of December. Competition dates will be announced at the end of June, 2019. Athletes are placed on a team based on their grade in school. Final team placements will be available when registration closes. Depending on the number of athletes who register in each grade, squads may be combined or split to ensure a successful and full team. The below team breakdown is subject to change. Practices for all teams start in July. 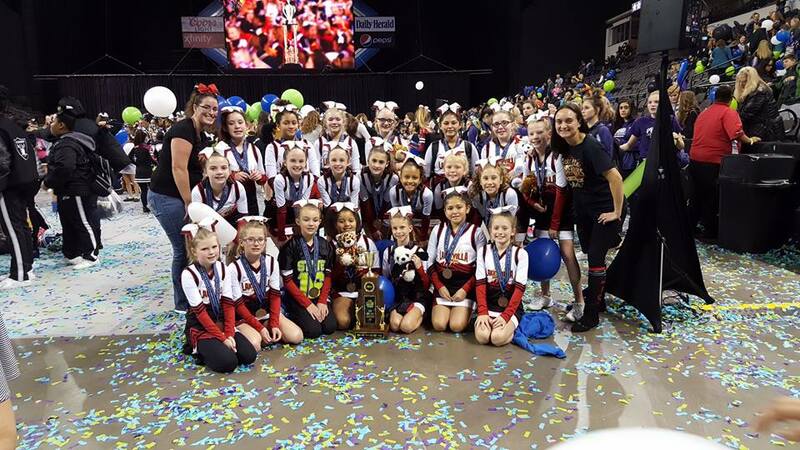 Teams may practice up to 2-3 times per week (varies slightly per age/team and additional practices will be added in the week before any competitions). We will cheer at Saturday or Sunday games during the fall TCYFL season. Cheerleading is a team sport. We expect a strong level of commitment to the team from all our athletes. If an athlete is absent or tardy, the team suffers the inability to practice as a full squad. If one member of a stunt group is absent, the entire stunt group is unable to practice. If one member of a formation is out, the entire formation is thrown off. That is why strong attendance is so important to a strong team. Excessive absences and tardiness are counterproductive to the team’s success and it puts the whole team behind. No unexcused absences will be accepted. You must notify your Coach if you will be late or unable to attend. If you have any planned vacation or time off that will cause your athlete to miss practice or competition, please notify your Coach immediately. Each participant is expected to be at practice and ready to practice at their designated start time. Ready to practice means hair already up and appropriate shoes on and tied. All practices scheduled within 2 weeks before a competition performance are mandatory (unless excused by your Coach in advance). If you miss a practice during this time your child may not be able to participate in competition. Athletes that are out due to injury are still expected to be at the practice, game and/or competition in full uniform and sitting on the sidelines to support their squad. Unexcused and excessive absences and tardiness will be brought before the cheer directors and who may elect to have your athlete sit out at a game or competition(s). We want this to be a fun and successful experience for the athletes. They will be working hard to learn new skills and fine tune the skills they already have, we don't want to see something like attendance impact their accomplishments.